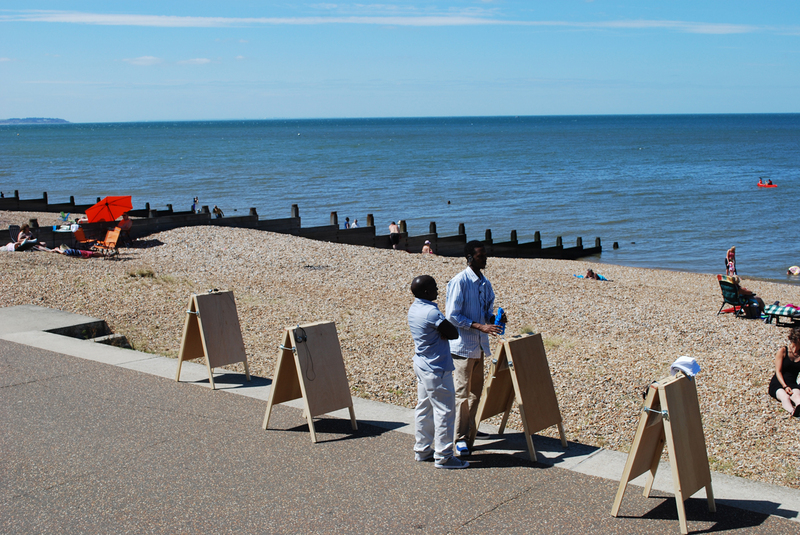 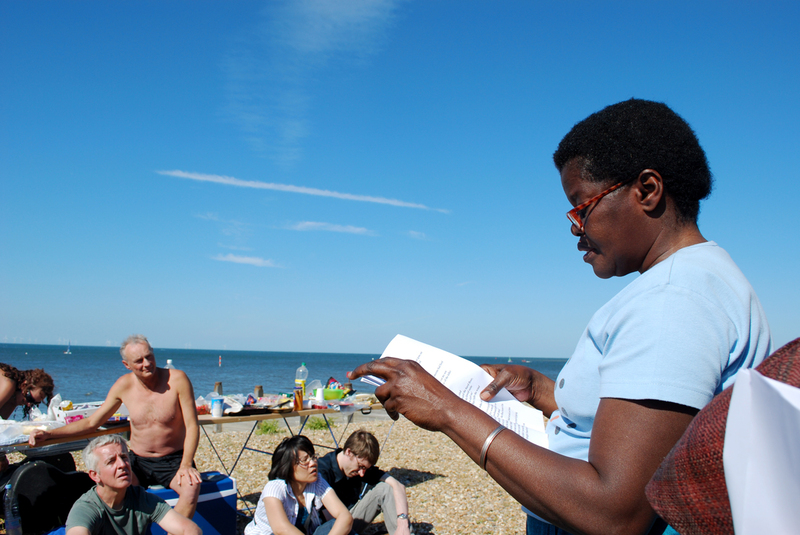 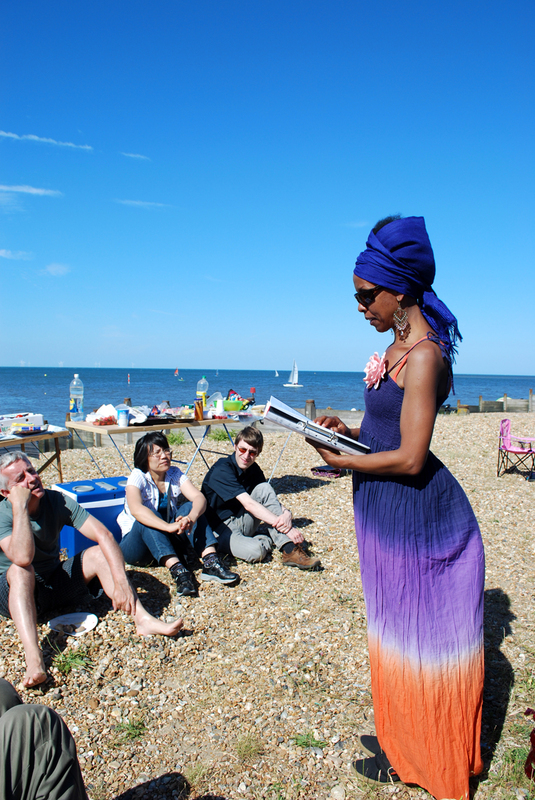 A peripatetic sound installation – the result of a year-long collaboration with Kent Refugee Help and The Dover Detainee Visitor Group. 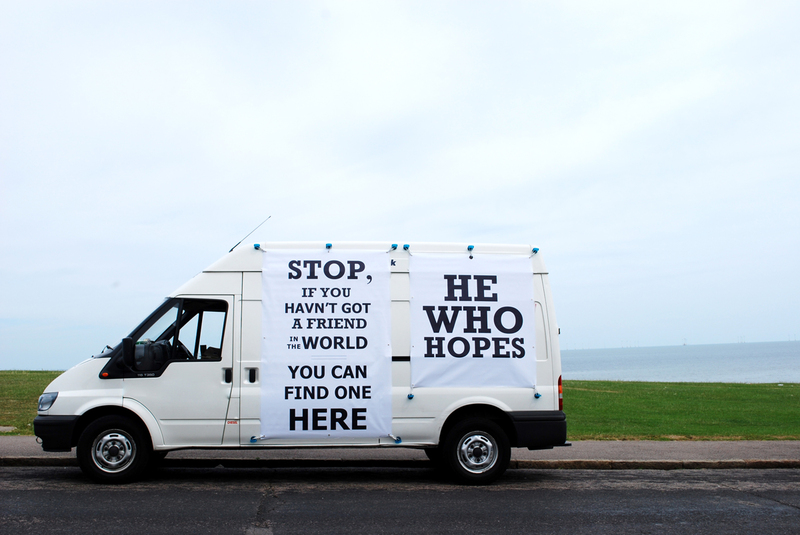 The artwork is a composition of material gathered in dialogue with a group of male asylum seekers detained at the Dover Immigration Removal Centre and the volunteers from the local community that visit them regularly. 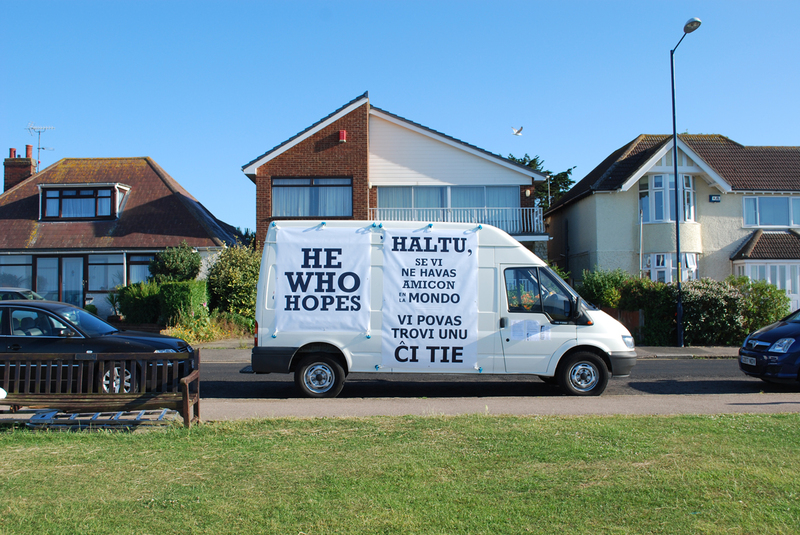 He Who Hopes (an English translation of the word ‘Esperanto’) juxtaposes the utopian ideals of the Esperanto language with the experiences of those placed in a ‘no-man’s land. 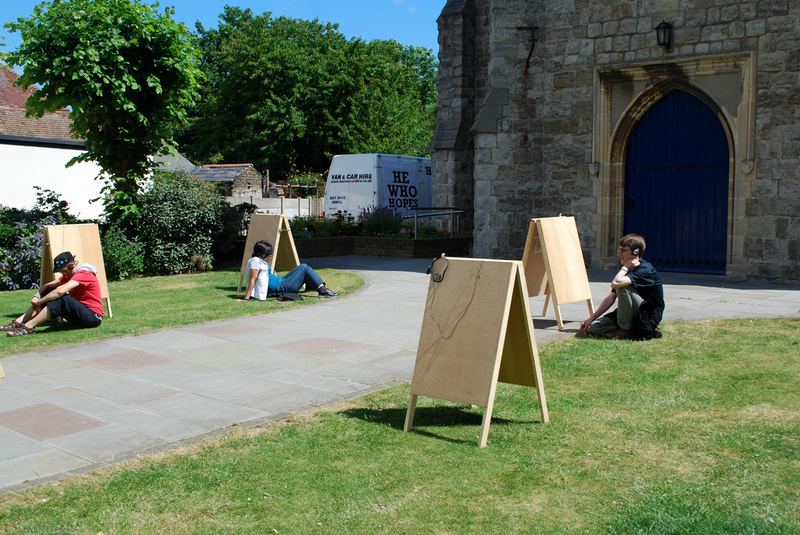 A six-channel sound installation composed of six freestanding blank sandwich boards. 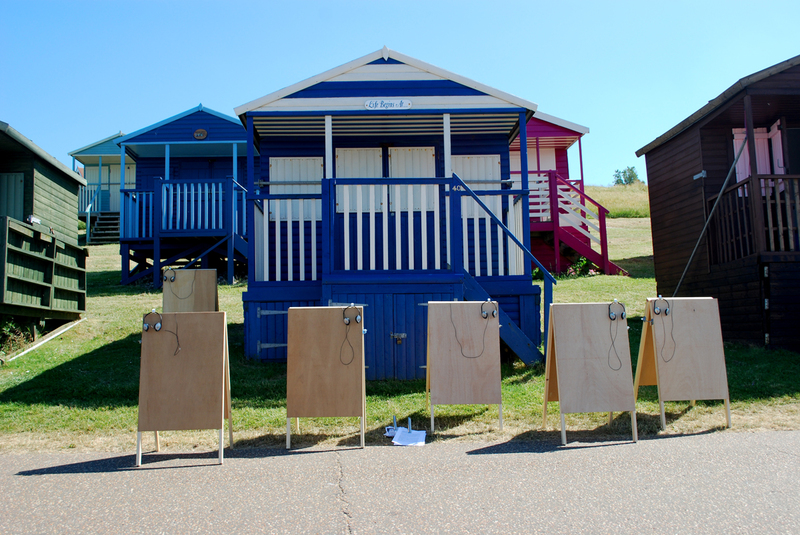 Each board has been adapted with a set of headphones for the audience to listen to, each containing a separate track. 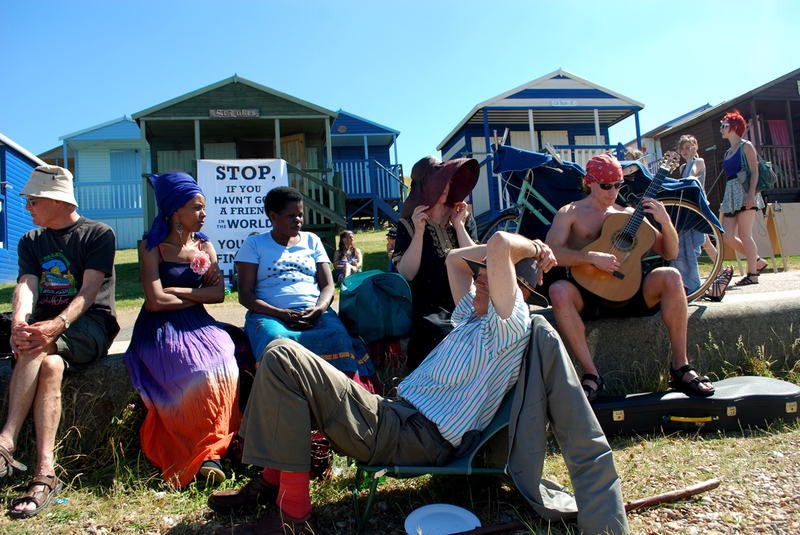 The six soundtracks hold the voices of ten readers (mostly belonging to a tightly knit housing community). 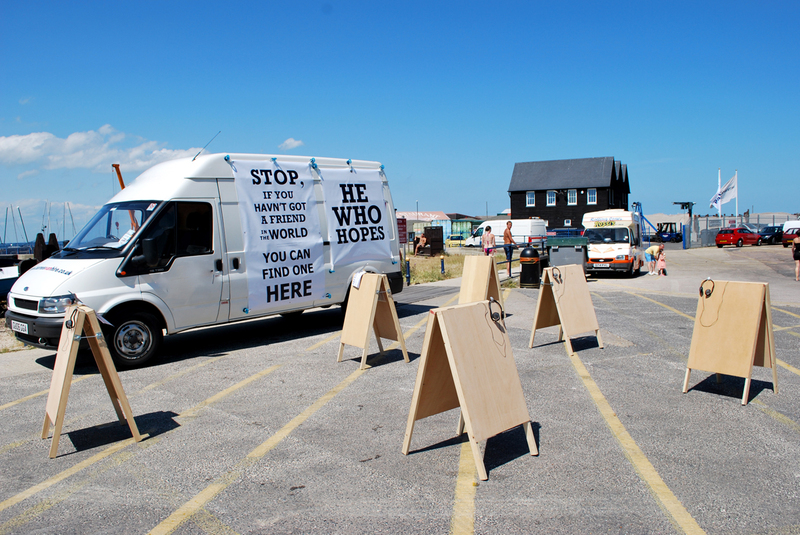 As they read through the entries from the monthly visitor’s forms written by the volunteers that visit the Dover Immigration Removal Centre, the readers offer their thoughts on the circumstances and relationships of detainees and volunteers and reflect on what ‘home’ means to them. 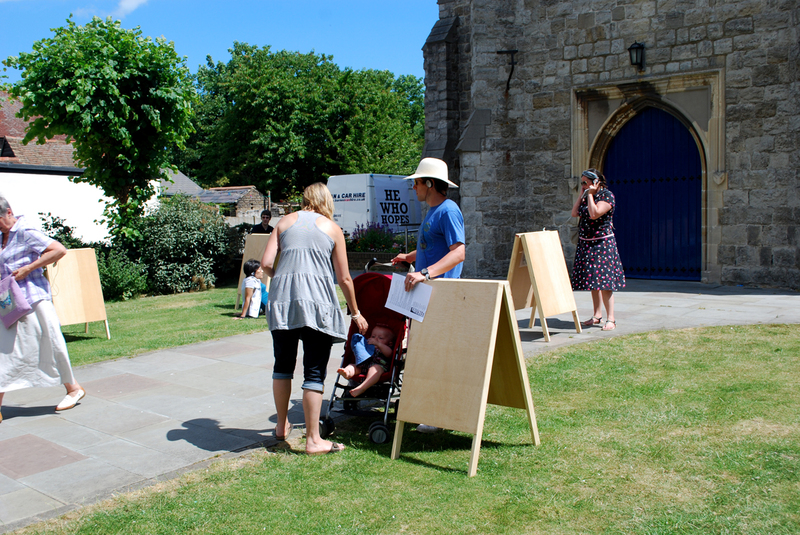 Incidental sound recorded around the Removal Centre and the neighbouring villages punctuates the stories. 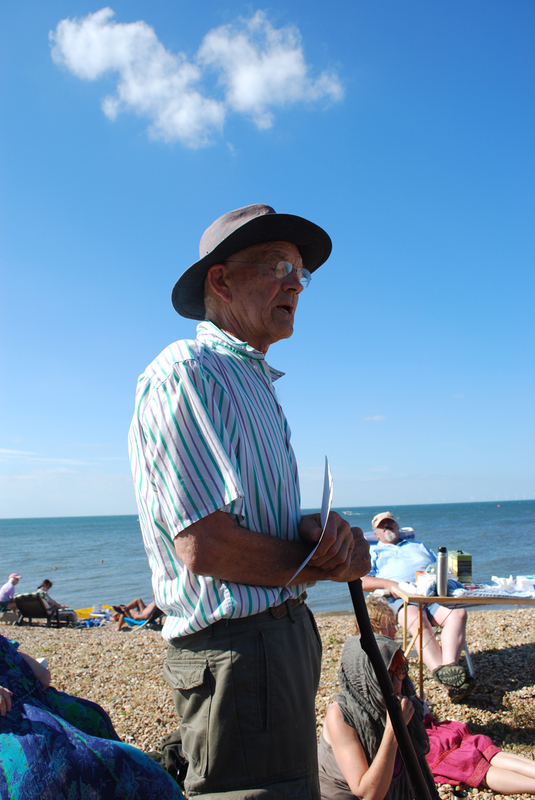 A Friend in England explores the notion of ‘objective reality’ by questioning whose voice and whose story we are listening to. 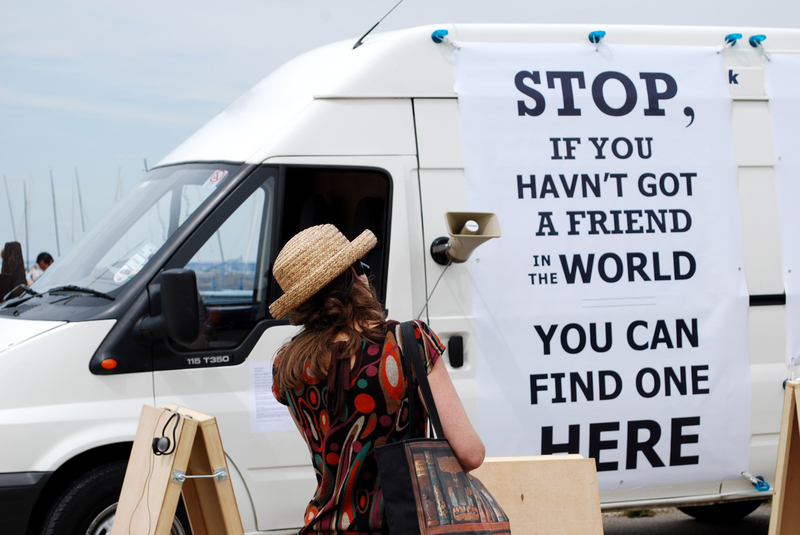 The sound installation is framed by a 2m x 1.3m banner containing a text piece, both in English and Esperanto that reads “Stop, If you havn’t got a friend in the world you can find one here” – a quote taken from a sign featured on a 1930’s photograph by Hans G. Casparius (1900-1985), depicting what looks like the entrance to a Salvation Army shelter. 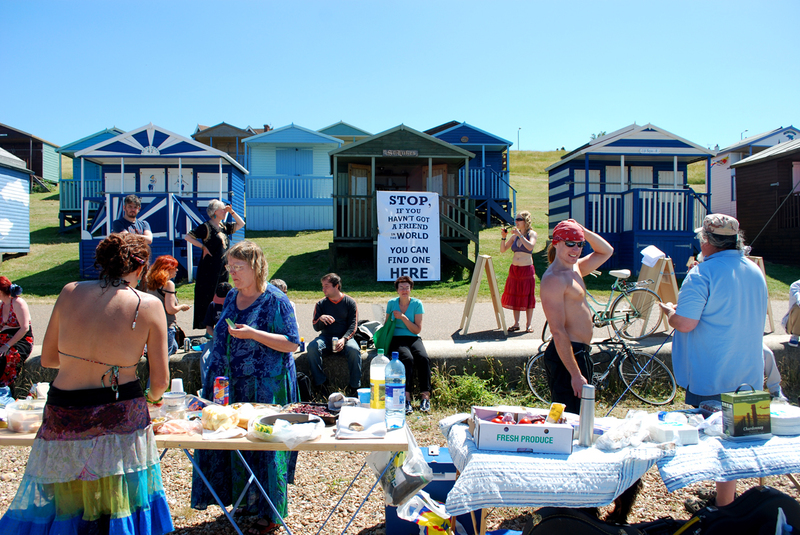 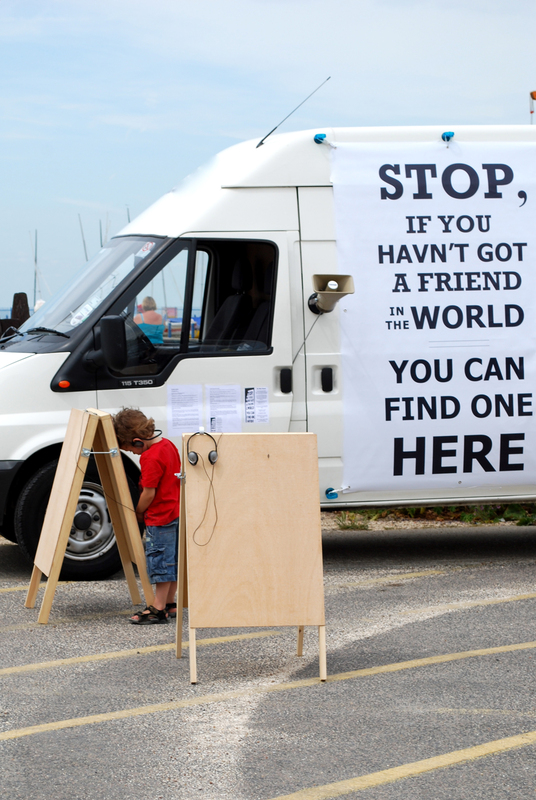 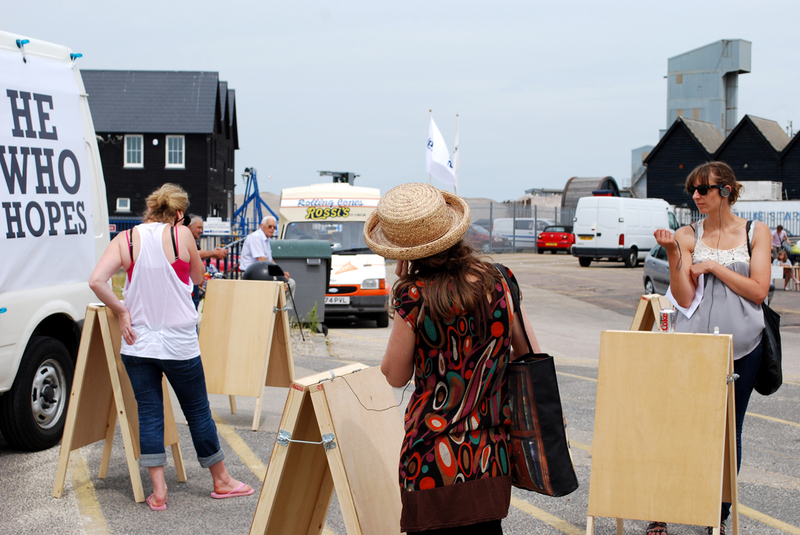 For the 2010 Whitstable Biennale – and borrowing from the language of political campaigning, I launched a customised PA van onto the streets of Whitstable. 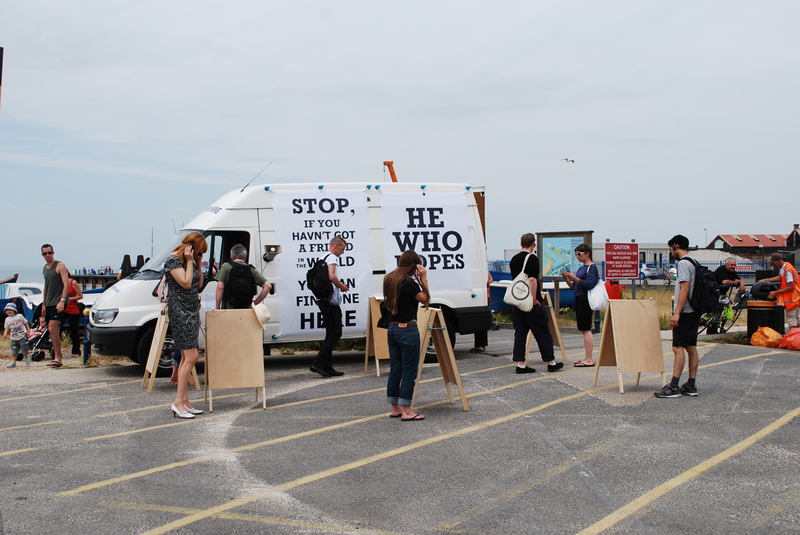 The van stopped at several locations to interact with the public. 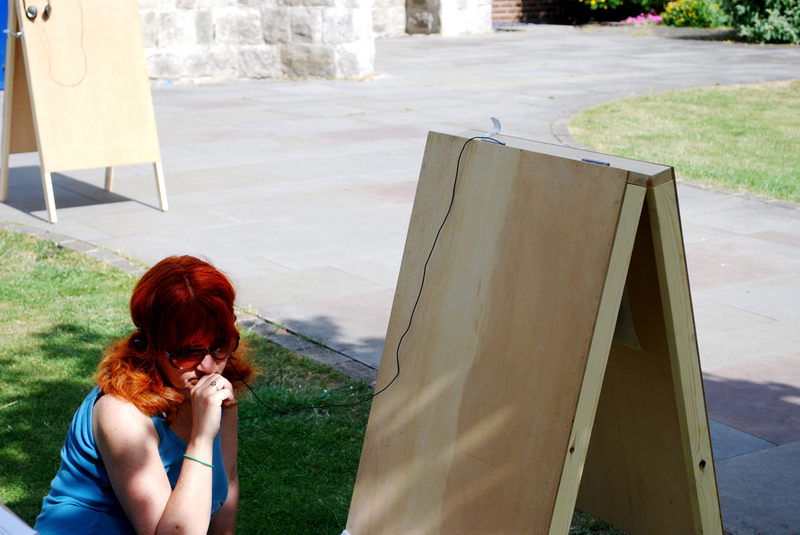 These stops provided a ‘listening space’ to experience the various elements of the sound installation. 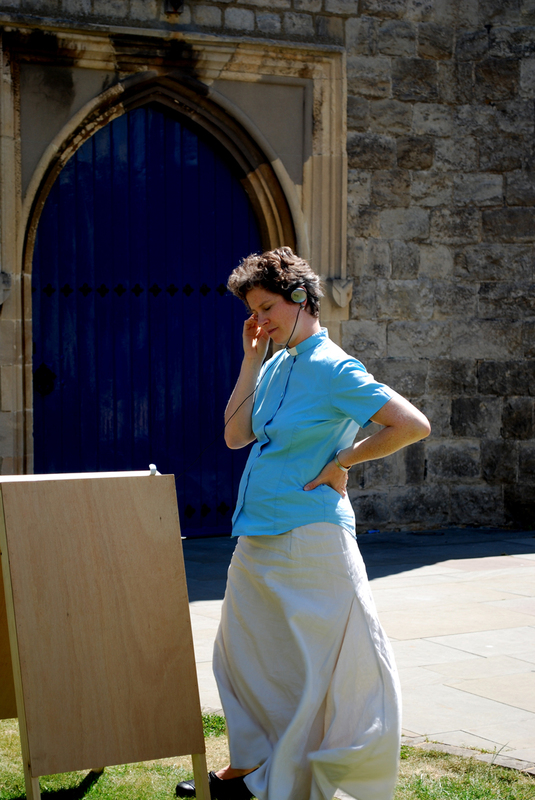 A PA system broadcasts at very widely spaced intervals several sound pieces in Esperanto and English, these combine statements sourced from my conversations with detainees, ex-detainees and volunteer visitors with re-sampled excerpts of the final speech of Charlie Chaplin’s The Great Dictator. 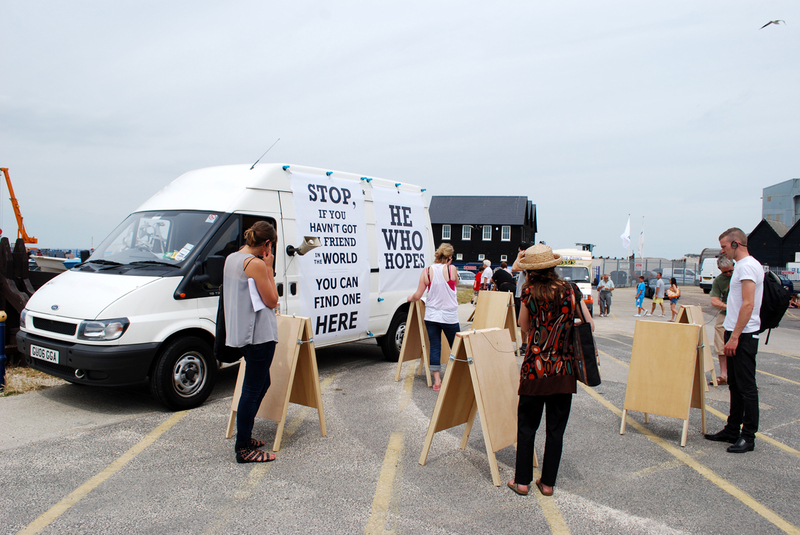 The PA system also broadcasts two sound pieces: Home and Postcards – composed from the readings of a selection of postcards sent by the detainees to their visitors, being read by primary school children.